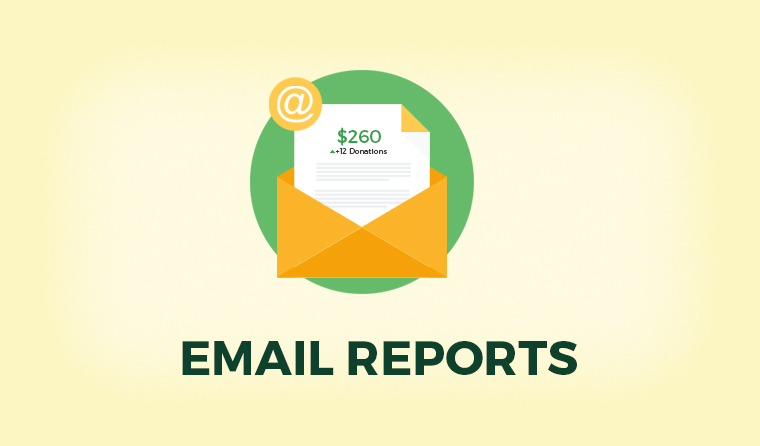 Give’s Email Reports Add-on allows you to receive valuable donation statistics for specific timespans directly in your inbox. Real-time notifications can be distracting and uninformative, but it’s easy to feel left-in-the-dark by disabling them. 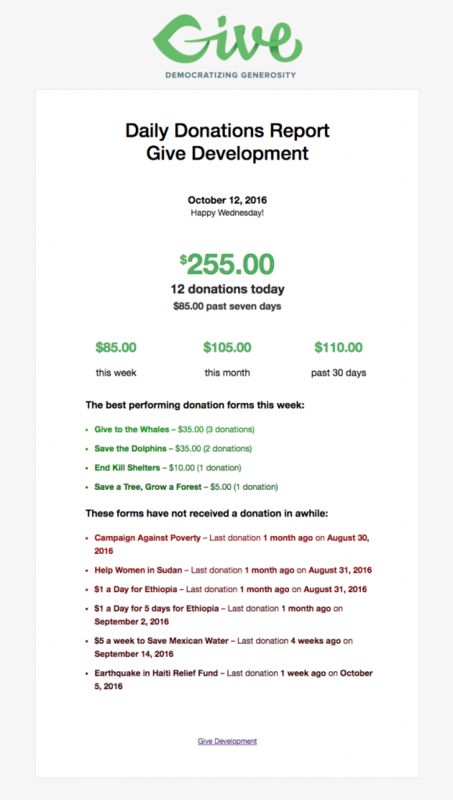 Why not roll your donation stats into a single report and stay informed on how your online fundraising efforts are performing over time? 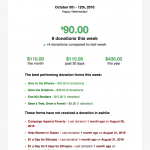 The Give Email Reports Add-on fetches all of your site’s important donation statistics and packs them into a detailed report email that summarizes how your donation forms are performing for the current day, week, month, and rolling 7 and 30-day intervals. 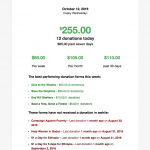 You’ll know which donation forms are receiving the most donations, allowing you to focus your efforts on pushing the forms that are working, or, paying more attention to the ones that are moving more slowly. 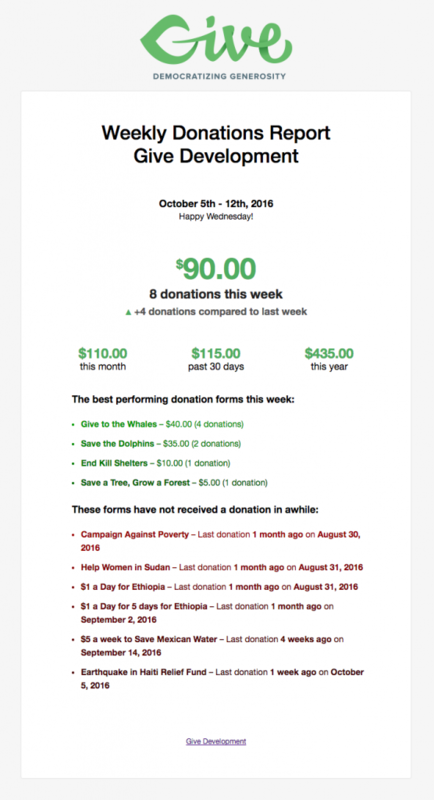 Let this Add-on make sense of your donation data for you and deliver it conveniently straight to your inbox. View our documentation on this add-on here.